I received an email advertising the preserve swap hosted by @wellpreserved. I originally dismissed this event as something that I would not be interested in. I thought that it would be awkward to stand before my homemade preserves trying to trade with others. However, upon receiving an update email reminding one of this event I became very excited and immediately RSVP'd yes! 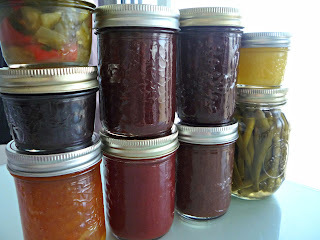 I began to plan which of my homemade preserves I would take. 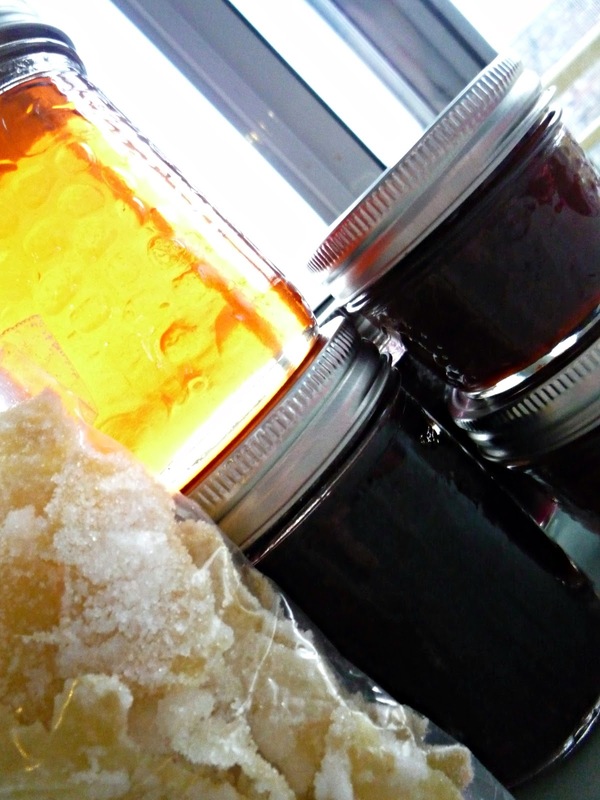 I settled on crab-apple hot pepper jelly (1), plum jam (2), grape syrup (3), crystallized ginger (2), and sourdough starter (3). I received a lot of positive feedback regarding my sourdough starter, which I was hesitant to take as I was not sure if people would be interested. Before the event I worried that I would be the last kid picked for the team. I worried that no one would talk to me and that I would return home with all of my original preserves so I made my husband come with me! My fears were unfounded as I managed to swap everything I took. I had some lovely, engaged and inspiring conversations with people that love food as much as I do. I bonded with more than one individual over an infatuation with crab-apples and commiserated their lack of commercial availability. I became excited at the prospect (and eventually swapped) for Seville orange marmalade. I did not manage to swap for the kimchi or the preserved lemons but that simply motivates me to make my own. I ended up swapping for fermented salsa, wild grape vinegar, Seville orange marmalade, tomato jam, ketchup, Everyberry jam, apple butter, lemon curd, and dilly beans. It was a ton of fun and motivated me in my preserving attempts. The next day I started a batch of kombucha, a batch of sauerkraut, a batch of sauerruben, canned some oranges, and made candied orange peel. The next swap is already scheduled, and I have signed up! It's swapping sweet homemade treats and desserts. I plan on making some marshmallows as I love to see the hot sticky syrup be whipped into light, frothy, airy marshmallows but I hate eating them! It will be the perfect excuse to make a few batches without having to consume any! I would love to know what the ketchup tastes like, considering you don't like conventional ketchup, right? I've made candied orange peel too. I used some of them to top truffles I also made.